To preserve your fertility while you are still at a young age giving you time to decide when to start a family (otherwise known as ‘social’ egg freezing). Eggs may be stored if there is a risk of premature menopause. For health reasons particularly for women who wish to preserve their fertility prior to chemotherapy or radiotherapy illness. As the ovaries are stimulated with drugs, this will need to be approved by your treating specialist. Couples who are not comfortable in producing a large number of embryos (i.e. religious reasons) can instead have a specified number of eggs inseminated and the rest frozen for future use. Should a problem occur on the day of your egg collection, making sperm unavailable (e.g. illness or sample unable to be produced), eggs can be frozen for later insemination. For patients with medical conditions, Medicare Benefits will apply. For “Social” Freezing (to preserve fertility) no Medicare Benefits apply. Currently Medicare Rebate is provided only if egg freezing is used for medical reasons. Social egg freezing i.e. women who choose to freeze and store their eggs for future use, is not covered by Medicare and will incur considerable out of pocket expenses. The cost will include egg collection and freezing of eggs, including the first year of egg storage, however it does not cover the cost of medication for stimulation and ongoing storage of frozen eggs. There will also be costs involved when you decide to use the eggs to conceive. * Does not include Medication and Anaesthetist fees. Please contact our friendly reception team who will be able to assist you. Your doctor will explain the steps involved in freezing and storage of your eggs, including the risks and chances of success. You will also be offered an opportunity to discuss any concerns you may have with our counsellor. The process involves stimulation of the ovaries using hormonal injections (similar to IVF) and freezing using the vitrification process which is a rapid process, much like “snap freeze”. Approximately 85% of eggs collected are mature and suitable for freezing and there is a risk that some eggs may not survive thawing and that some eggs, once stored, may remain unfertilised even after Intracytoplasmic Sperm Injection. Medication used may cause side effects including nausea, fatigue, breast soreness and swelling of the abdomen. These symptoms will subside once you have completed the treatment. If the ovaries respond too aggressively, hyperstimulation can result in OHSS (Ovarian Hyperstimulation Syndrome) and at PIVET Medical Centre this occurs in less than 1% of our patients. Depending on the age at which the cycle is undertaken or your fertility parameters (Anti-Mullerian Hormone / Antral Follicle Count), there may not be an abundance of oocytes to preserve, so please be realistic with your expectations given the cost of this procedure. Oocytes may not be collected. 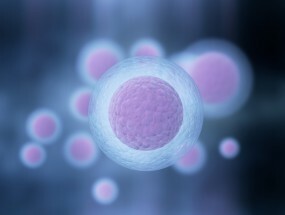 Oocytes may not be mature enough to be frozen. Oocytes may not survive when thawed. Oocytes may not fertilise and produce embryos that are suitable for transfer. Please discuss the possibility of these outcomes with your PIVET doctor before committing to treatment. There will also be an ongoing annual fee for oocyte storage. To view more frequently asked questions about Egg Freezing, click here.